Wine Tours: The Newest Way to Enjoy Grown Up Fun!! After a time, the club and party scenes begin to age; no one wants to be the most mature person in the club. Wine tours offer an avenue for grown up fun for those weary of the bar scene. Wine tours really combine fun, friends, wine, and (dare I say it) education into one great event! Wine tours aren’t just for bored housewives happy for any excuse to drink; although, it is a great girl’s day out. They serve as a great outlet for business trips in terms of networking and casual discussion. Even brides and grooms are embracing the concept as a replacement for typical bachelor/bachelorette parties. What’s better than a ride through northern Virginia in a limo with great friends and good wine? Overall, wine tours are a simple, convenient way to enjoy grown up fun. Wine tours vary in terms of scope, but an appreciation for nature is at the core of the function. Riding through the countryside from Dulles airport in a limo toward the vineyards of Virginia provides breathtaking views of beautiful Virginian countryside. Upon arrival, the tour usually includes a walking tour through the vineyard itself, witnessing the growth of the grapes themselves. Not many sophisticated functions include as many outdoor enjoyments. True appreciation grows when you know how something comes to be. Wine is no different, and wine tours provide a real education about the process. You and your friends probably won’t get the full Lucy and Ethel experience of stomping on grapes to juice them, but the tour will walk you through the process as it is today. Take notes, and discuss with your friends as you ride home in the vehicle provided by a limo service from Sterling, VA, about your newest hobby: winemaking! 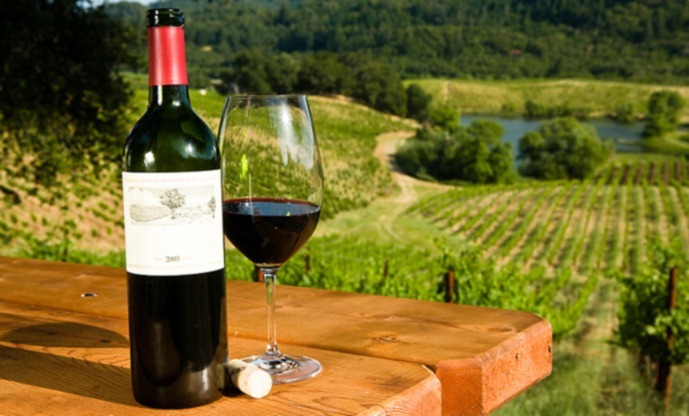 Wine tours also teach you how to explore wines for yourself. They walk you through the best way to sample wines to get the full breadth of the sensory experience. You’ll learn how to evaluate the appearance of wine based on color and clarity. You will also learn how smelling wine enhances the experience and gives you more information about the wine than the taste. Finally, you’ll learn that tasting the wine is more than drinking it. It is evaluating the flavor from the initial sip, as you swallow, and the pleasure of the remaining flavor. You may not walk out a wine snob, but you will have a better understanding of what you genuinely enjoy drinking while renting limo service in Leesburg, VA ! And you’ll have the chance to buy what you love! And that brings us to the real grown up fun part! Riding in luxury provided by a limo service in Manassas, VA; enjoying the company of grown people; appreciating nature in its glory; gaining an education about wine; all of these are fun. But, let’s admit it, we go for the drinking. So, forget the bar scene; schedule a wine tour; and enjoy your maturity!